Dry needling is a popular and effective method for treating acute and chronic pain, and involves the use of a dry needle. This method of physical therapy is also suitable for injury rehab and injury prevention, and it has very few side effects. At Mondo Sports Therapy, we use dry needling as an adjunct to our other physical therapy services in patients where it is deemed as an appropriate intervention by the clinician. Dry needling uses a solid filament needle. The therapist inserts the needle into the skin and muscle at the muscle and fascia trigger points, also known as myofascial trigger points. The needle penetrates the skin, and is inserted “dry,” meaning it doesn’t contain any injectable substance. Physical therapists use this method to stimulate the trigger points, muscular and connective tissues underneath. If you have been experiencing pain, this is an intervention that can give you relief by addressing dysfunctions in the muscle. What conditions does dry needling help? Patients suffering from the following conditions or injuries may find relief with dry needling. It’s important to remember that we offer trigger point dry needling physical therapy services as a way to broaden your treatment plan, and not on its own. The American Physical Therapy Association reports that some physicians have treated carpal tunnel syndrome with dry needling as well. Dry needling is more uncomfortable than it is painful. Responses vary from person to person but very few people use the word painful to describe what they experience. The needles used in dry needling are sharp and very thin, therefore you won’t feel it actually enter your skin like a syringe or other big needle. Individuals who have received dry needling treatment are generally very surprised at how minimal the pain is and have said the discomfort is well worth the relief of their symptoms of pain. Side effects associated with dry needling are minor. You may have a slight increase in pain or muscle soreness during a period of a couple of hours to several days. Once the initial soreness has worn off, however, you will have an improvement in your overall pain experience. This short burst of discomfort may be caused from a reaction in your muscles, where muscles “twitch” from a reflexive response to the treatment. The cost of dry needling is determined by the number of sessions you will need to undergo, and if your insurance provider approves the procedure. 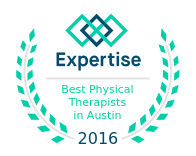 We are one of the leading premium dry needling providers in Austin, Texas. The only similarity is the use of solid, filament needles. Acupuncture is an ancient form of Chinese medicine. The traditional view of the practice is acupuncture is a way to change the balance of the flow of energy throughout your body. Like dry needling, thin needles are used, and now Western practitioners of acupunctures use the needles to stimulate your nerves, muscles and connective tissues to relieve pain. Dry needling is focused on trigger points and muscle fibers, with knowledge based on the musculoskeletal system, whereas acupuncture focuses on the Qi, or energy, in the body. Acupuncture is also used for non-pain conditions, including anxiety, high blood pressure, and more. Dry needling is specifically for treating the body’s symptoms of pain, and practitioners of the therapy don’t use acupuncture terms or approaches. The experience after dry needling varies with each patient, but it’s common to have muscle soreness and a feeling of fatigue after trigger point dry needling physical therapy. The soreness may last several hours or days, and is similar to how the body feels after an intense workout. Any extreme soreness or soreness that lasts more than 48 hours should be reported to the provider. Some patients can experience a sensation where their muscles “twitch,” and move spontaneously after treatment. You may also experience mild bruising where the needle enters the skin, but this will soon fade. Bruising is common to some areas that are more sensitive than others, such as the shoulders, the base of the neck, the head and face, and the extremities. You can treat the bruising with ice as needed. Remember that dry needling is an invasive treatment, where we are stimulating the muscles, and your body may feel tired after the process. 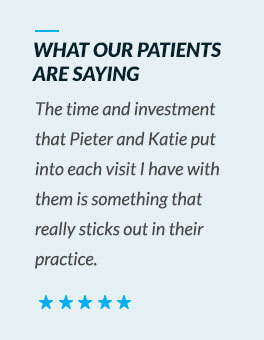 If you have any concerns about how you feel after treatment, please contact the provider. For more information or if you would like to know if dry needling would be a good treatment option for you, please schedule an appointment or contact us.